[PDF] iOS eCommerce App Development with Parse | Free eBooks Download - EBOOKEE! Description: iOS eCommerce App Development with Parse uses a real-world app example to teach you how to build a complete eCommerce iPhone app powered by Parse - the most popular and powerful Platform As A Service (BaaS) provider. In this comprehensive guide you will learn every step: collecting requirements, architecting the app, designing the visual interface, creating the data model, managing products and the shopping cart, processing the payment, and fulfilling the order - always with secure best practice in mind. You will also learn how to manage user account creation, login with ?Facebook and Twitter, verify users via email, pay with Stripe and Apple Pay, send email with Mailgun, and manage customer payment methods and order history. Intermediate knowledge of iOS development and object-oriented programming is assumed, and basic knowledge of e-commerce principles will be of benefit too. The author is a successful iPhone app developer whose real-world experience is now brought to print. 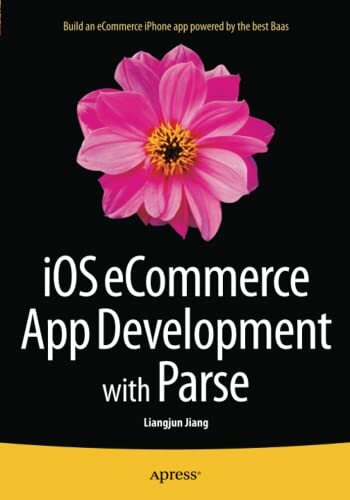 Master iOS eCommerce app development with Parse using this book today. No comments for "[PDF] iOS eCommerce App Development with Parse".